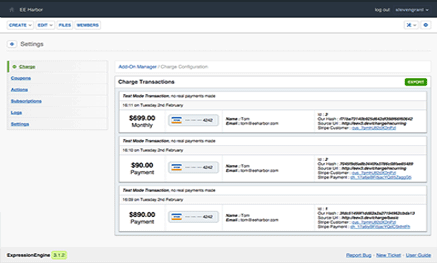 Create Charge payment forms from any Channel Entry with the new Charge Fieldtype. Want to gate content for premium members? Charge's Subscriptions allow you to sell membership levels and setup content that's accessible to each level! Offer coupon discounts for everyone or limit it to specific Charge Channel Entry forms! Need to sell access in set-length blocks? No problem!